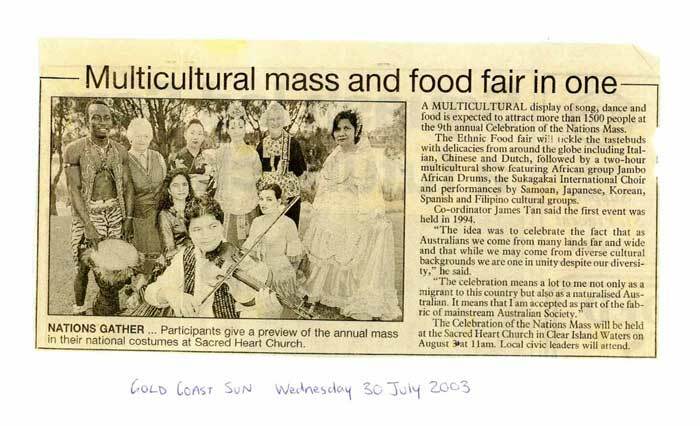 Multicultural mass and food fair in one is going to attract more than 1500 people. It will be the 9th annual Celebration of the Nations Mass. The Ethnic Food fair will tickle the taste buds with delicacies from around the globe including Italian, Chinese and Dutch. After it everybody can enjoy a two-hour multicultural show. Featured groups are African group Jambo African Drums, the Sukagakai International Choir and performances by Samoan, Japanese, Korean, Spanish and Filipino cultural groups. Co-coordinator James Tan said the first event was in 1994. 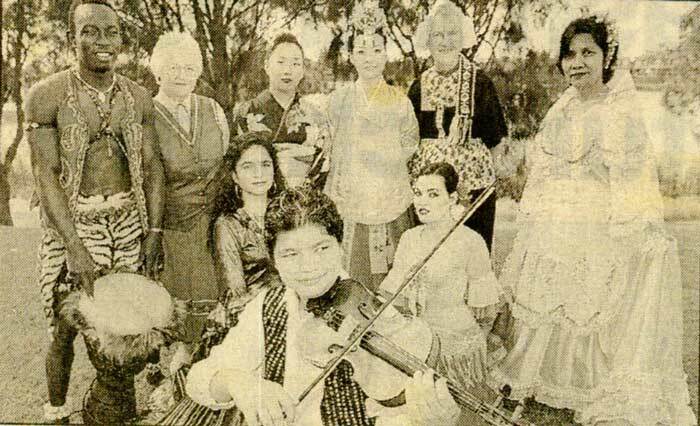 “The idea was to celebrate the fact that as Australians we come from many lands far and wide. While we may come from diverse cultural backgrounds we are one in unity despite our diversity,” he said. The Celebration of the Nations Mass will take place at the Sacred Heart Church in Clear Island Waters on August 3 at 11am. Local civic leaders will attend.